SL Safety Consulting was established by Steve Logan in 2017. Having become very frustrated at the severe lack of knowledge, capability and awareness amongst his industry peers, he decided that it was time to pick up the gauntlet and offer support and advice to organisations outside of his immediate sphere of influence. A HASANZ Registered, Graduate Member of NZ Institute of Safety Management and with over 20 years senior Operations Management experience, Steve has developed and delivered best practice safety programmes and processes which have achieved significant culture change and safety outcomes. During this time he has become an expert health and safety practitioner with a genuine passion and a strong practical and proven track record. Steve’s qualifications include Graduate membership of NZ Institute of Safety Management, Diploma in Occupational Health & Safety, Masters in Business Administration (MBA) and a B.Sc. in Chemical Engineering. 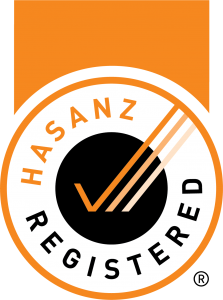 He is also registered with Health and Safety Association NZ (HASANZ) as a verified workplace health and safety professional. His practical credentials which derive from many years at the coal face managing sites of over 200 employees, are a unique blend of operational experience and health & safety specific skills – Steve knows what best practice looks like and can deliver it too. By engaging with this network of reputable partners we are able to extend the already wide portfolio of services and support we can offer to our clients.